The government of Pennsylvania announced the formal opening of service at one of the 29 CNG fueling stations planned as part of a Public Private Partnership (P3). Officials from Pennsylvania Department of Transportation (PennDOT), Trillium CNG, and IndiGO-Indiana marked the start of fueling at the facility in Indiana County. “This addition to our growing ranks of transit-based CNG stations means savings for transit operators and a step towards a better environment,” Governor Tom Wolf said. 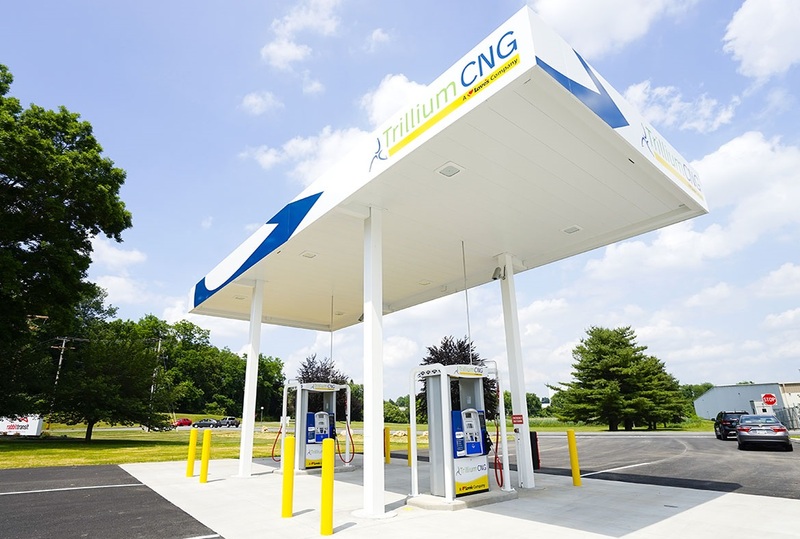 Through the $84.5 million statewide P3 project, Trillium is designing, building, financing and will operate and maintain CNG fueling stations at 29 public transit agency sites through a 20-year P3 agreement. Other stations will be constructed over the next several years, and Trillium is also making CNG-related upgrades to existing transit maintenance facilities. As part of the conversion, IndiGO-Indiana will replace its current 13 CNG buses with updated versions. In addition to the transit bus fueling, the Indiana station will be open to the public 24/7. PennDOT will receive a 15% royalty, excluding taxes, for each gallon of fuel sold to the public at public sites, which will be used to support the cost of the project. Using the P3 procurement mechanism allows PennDOT to install the fueling stations faster than if a traditional procurement mechanism were used for each site, resulting in significant estimated capital cost savings of more than $46 million.